Cyanotoxins are a family of compounds produced by blue-green algae (also called cyanobacteria) that can have negative impacts on the health of humans, pets and livestock. Blue-green algae tend to increase in magnitude and frequency with increases in phosphorus loading. Thus, one of the most effective, long-term solutions in minimizing both blue-green algal blooms and their associated production of cyanotoxins is to reduce the phosphorus loads entering Lake Hopatcong. 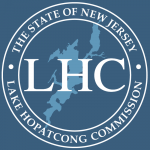 Reduction of phosphorus in the lake has been one of the primary objectives of the Lake Hopatcong Commission. Through the use of the lake’s total mass daily load (TMDL) for phosphorus, the approved Restoration Plan, and long-term water quality data the Commission’s goal is to educate stakeholders on what they can do to reduce their contribution to phosphorus loading and to obtain funds to implement stormwater and watershed-based projects. In November of 2016, the US EPA released Health Advisories for specific cyanotoxins in recreational waterbodies. Specifically, these advisories are based on recreational exposure of children and include limits of specific cyanotoxins including, “microcystin” (not to exceed 4 ug/L) and “cylindrospermopsin” (not to exceed 8 ug/L). Of these two cyanotoxins, microcystins tend to be the most common in our region of the United States. In August 2014, a large blue-green algal bloom was present in the River Styx/Crescent Cove section of Lake Hopatcong. In response, NJDEP collected samples and analyzed them for microcystins. While open water concentrations were below the 4 ug/L US EPA threshold, a few near-shore samples exceeded the US EPA threshold. One sample indicated microcystin levels as high as 84.5 ug/L. 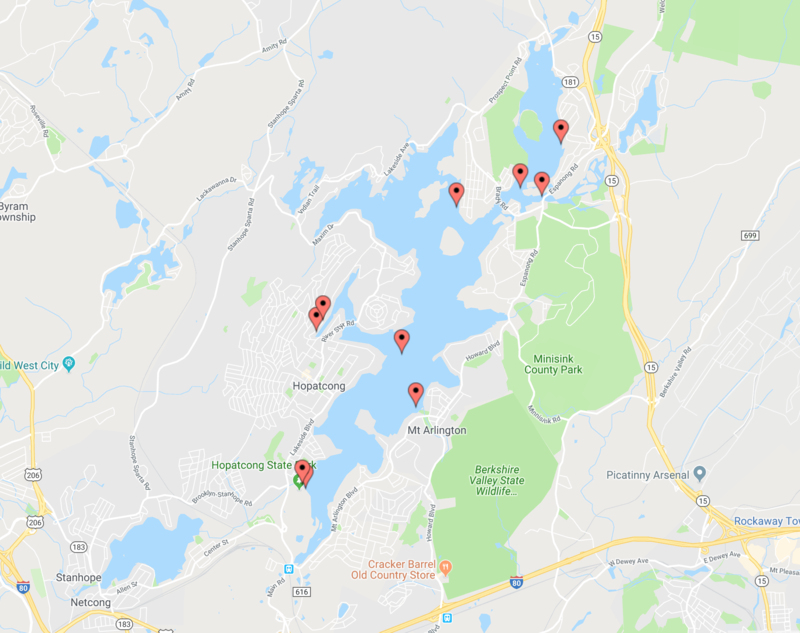 In response to this event, the Lake Hopatcong Commission requested that some of the funds in an existing 319-grant be used to monitor for microcystins in six near-shore / beach areas in 2015. Three sampling events were conducted in 2015 and all concentrations were below the 4 ug/L threshold. Until now, this was the last time cyanotoxins were monitored at Lake Hopatcong. Due to the presence of blue-green algal blooms in the lake in 2015 and the release of the US EPA Heath Advisories in late in 2016, the Commission requested that Princeton Hydro submit a proposal to conduct monitoring for cyanotoxins (specifically microcystins) in 2018. Please note that while the mid-lake area can serve as a control for the other near-shore / beach sites, the mid-lake sampling station will be established where a high amount of boat, water skiing and other aquatic activities occur. This will aid in providing data to determine if open water recreational activities seem to have the same degree of exposure to microcysts as beach activities. At each station water clarity was measured with a Secchi disk and in-situ measurements were collected for temperature, dissolved oxygen, pH and conductivity. General field notes on the appearance of the water (e.g. color, relative turbidity, presence of foam, etc.) were recorded and samples collected for the analysis of microcystins (using the Abraxis test strip kits) and the identification / enumeration of phytoplankton. The phytoplankton analysis focuses on the identification of the blue-green algae (down to genus or species) and calculating their abundance. Such data is particularly important since algal cell count thresholds commonly used to assess the relative probability of having cyanotoxins. All sample results indicate cyanotoxins levels are below their US EPA draft recreational thresholds. Specifically, Microcystins were negative at all stations with the exception of B10 which showed a concentration of < 1 μg/L. This value is well below the draft recreational threshold of 4 μg/L set by the US EPA, and Cylindrospermopsin was negative at all stations with the exception of a value of < 0.5 μg/L at B5. Again, this is well below the draft criteria of 8 μg/L. Overall, the plankton communities were generally diverse with a mixture of diatoms, cryptomonads, greens and blue-greens. Cyanobacteria cell counts ranged from a minimum of 113 cells/mL at B9 to a maximum of 193,396 cells/mL at B1 which showed a large density of the very small celled Aphanocapsa. Aphanizomenon and Anabaena were present at all stations with the exception of B9. They were particularly abundant at B1, B2, B6, B8 and B10. 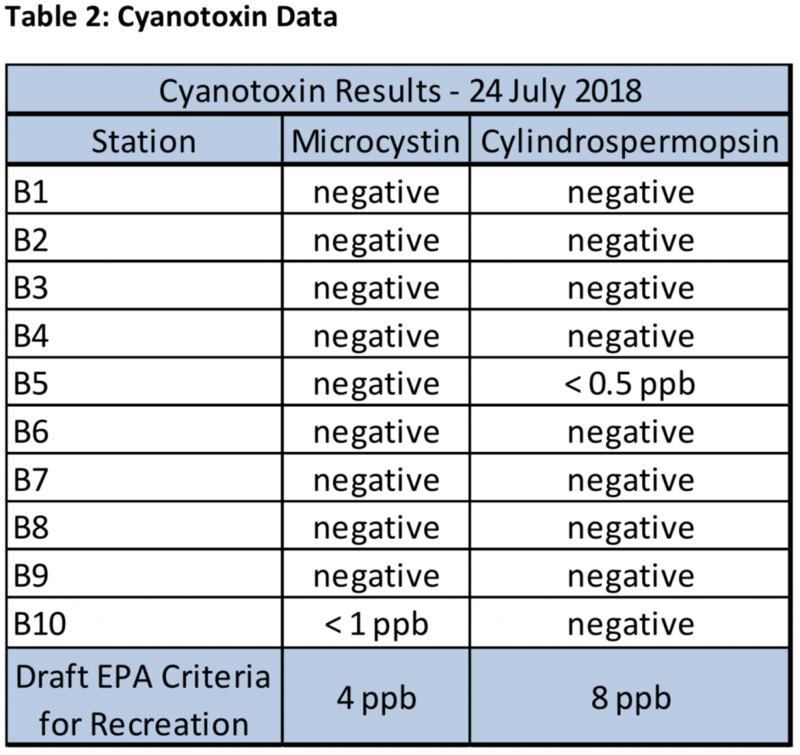 It is worth noting that these genera are capable of producing cyanotoxins, however results of the Princeton Hydro sampling event indicate that no cyanotoxins were present at at levels above the US EPA threshold at any of the sampling locations. All results remain below their respective US EPA draft recreational thresholds.